Or what woman, if she has ten silver coins and loses one coin, does not light a lamp and sweep the house and search carefully until she finds it? (Luke 15:8, emphasis added. )Many of you are aware that I am in the midst of restoring a 100-year-old farmhouse. This possesses its own unique challenges since I am rarely here. I just came back from being on the road for three weeks and picked up my hammer once again. What is truly amazing is that a month ago, we planted grass! (Only those who have lived on a construction site know the joy of seeing grass sprout to replace acres of mud.) I was so excited this week to come home and see the grass actually growing! I took a barefoot walk around the yard and just took some mental and emotional notes. What stuck out the most is that around the side of the house, one of my children had left a rag outside on the ground that we were using when we refinished our kitchen cabinets. It was now dry and hard and embedded in the ground. But what was truly amazing is that it also had grass growing up through it. Through the actual cloth, the grass was growing. I stopped and stared. Grass grows through almost anything. Hard dirt, cloth, and even at times rock and concrete. It seems to be purposely determined on breaking through whatever is in its way to reach the sun. It grows and grows and grows, moving closer with every inch. Immediately, I must confess, there was a part of me who thought that this is how we should be with God. Our hearts should be continually reaching out after Him. But I knew this didn’t feel quite right. I wasn’t getting what God was trying to say to me at the moment. It was if He was tapping on my shoulder, still saying, “Keep trying, I don’t want any more from you. I want to give you something here.” I continued to stubbornly ponder. How can my heart become more devoted to reaching after God as this grass does the sun? Then it hit me. I had missed the point. God was not trying to squeeze greater devotion out of me. He whispered, “You’ve got it backwards Herb. I’m the grass and you are the sun. I’m stopping at nothing to reach you!” Tears welled as I began to feel His heart, once again wrapping around me in the cool of this summer evening. What a truly amazingly loving God we serve. While on my most recent trip, I met a man who was asked by a mutual friend of ours, “When did you find God?” His response resonated in my heart. He replied, “That’s a curious question. I didn’t know God was ever lost. 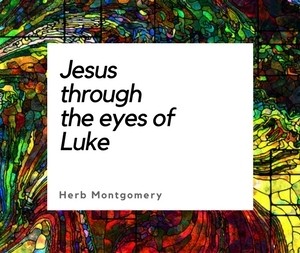 I prefer to see it as the day He found me.” Jesus sought to show us the same picture of our heavenly Father: “in the parable of the lost sheep, Christ teaches that salvation does not come through our seeking after God but through God’s seeking after us” (E.G. White, Christ’s Object Lessons, p. 189). This week as you consider these precious truths, let me once again emphasize that yes, it’s important for God to be in your heart, but how do we get Him there? It is, first, by believing you are in the heart of God. ” . . . God gave to human beings an unmistakable evidence of the love with which He regarded them . . . The gift of Christ reveals the Father’s heart. It testifies that, having undertaken our redemption, He will spare nothing, however dear, which is necessary to the completion of His work” (E.G. White, Counsels on Stewardship, p. 14). Quit running. Stop. Relax. Let Him, this week, find you.